MySportboats.com specializes in selling boats wholesale to Camps, Resorts, Rental Businesses, Concessionaires, Universities, Governmental Agencies, Amusement Parks, and Outfitters. 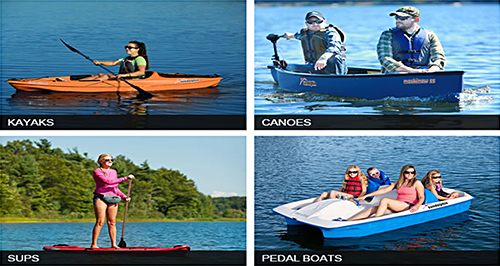 Our focus is on wholesale kayaks, wholesale canoes, wholesale paddle boats, wholesale pedal boats, wholesale inflatable kayaks, wholesale fishing boats and wholesale water toys. To get wholesale pricing you must purchase a minimum number of boats,or trailers from the same manufacturer. You may mix and match products in a category and across categories as long as the manufacturer is the same i,e. you could purchase 2 Sun Dolphin Pedal Boats, 2 Sun Dolphin Fishing Boats, and 2 Sun Dolphin SUP's. 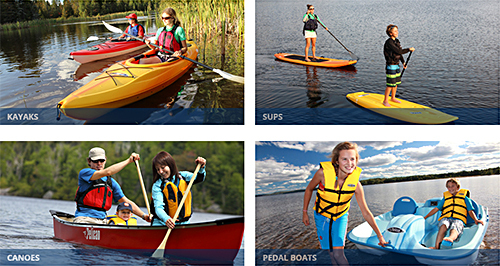 Pelican - The minimum purchase is: 12 kayaks or SUP's, 9 Canoes, 8 Pedal Boats or Fishing Boats. Please let us know if you want to mix and match Pelican boat types and we will help you determine the minimum order quantity for your order. Sun Dolphin Boats - The minimum purchase is 6 boats (includes kayaks, SUP's, canoes, Pedal Boats, and Fishing Boats). Kaypark Pedal Boats - The minimum purchase is 6 pedal boats. Prices shown for some items are MSRP. Please request a quote for lowest wholesale pricing.